It is from a post by Angie over at Eclectic Recipes and has been pinned and repined by EVERYONE it seems on Pinterest. They are just toooo cute aren’t they? I thought so. More importantly, they were INCREDIBLY easy to do. 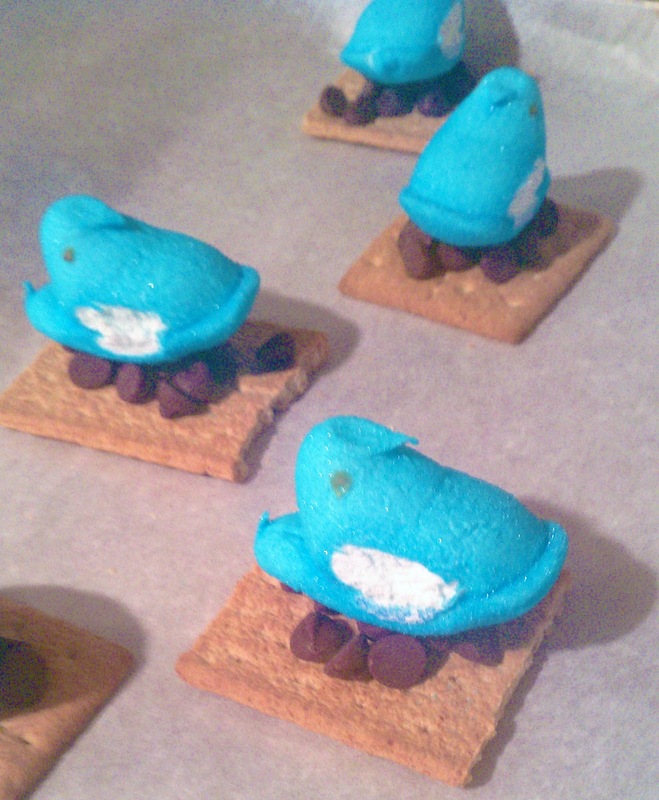 I had the graham crackers on hand, chocolate chips (which melt into nearly the same thing as a chunk of chocolate) and I was already making a stop at Walgreens to pick up some Peeps on sale. The only prep work required was to get a small piece of parchment paper onto a cookie sheet while preheating my oven. In her original post, !! !, Angie microwaved hers. That was probably easy, but I already had the oven running. How great are these? 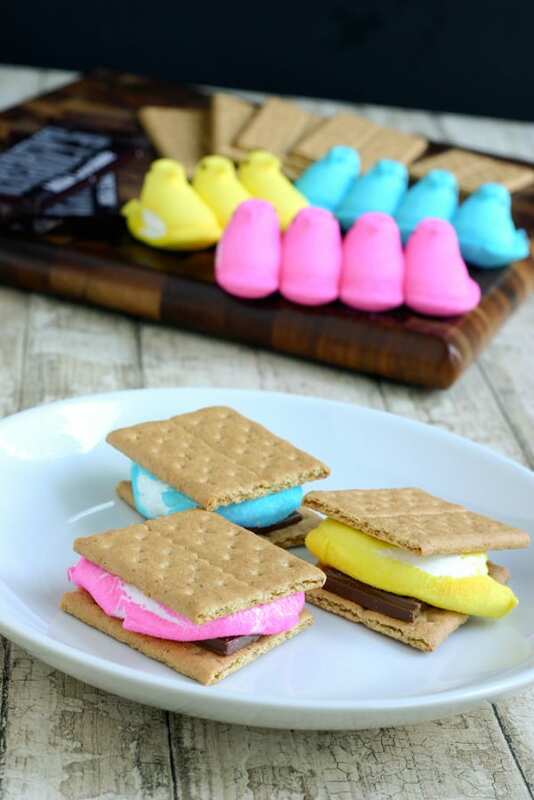 These were perfect for my sweet tooth’s craving! Plus I loved how easy they were to do, especially if you were looking for a single portion dessert.